Getting a tooth pulled is unpleasant, but occasionally an extraction is required to prevent further health complications. 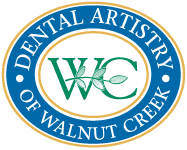 For safe and careful extractions, trust Antonio Margiotta, DMD, at Dental Artistry of Walnut Creek in Walnut Creek, California. Visit Dr. Margiotta when you’re in need of having a tooth pulled. Schedule a consultation online or call the office. Permanent teeth are meant to last a lifetime, but for many reasons, this doesn't always happen. For example, you could need a tooth extracted because it's too cracked or chipped to repair. Trauma, decay, and lifestyle can all lead to needing a tooth pulled. What is the procedure for extraction? There are simple extractions and surgical extractions. When you can see the tooth inside your mouth, it’s called a simple extraction. In a simple extraction, Dr. Margiotta will loosen the tooth with an instrument called an elevator and gently remove it with dental forceps. A surgical extraction can be more invasive. The tooth may not have fully grown into the mouth, as is typical with wisdom teeth, or it may be broken off at the gum line. During a surgical extraction, Dr. Margiotta makes a little cut into the gum to locate and take out the tooth in question. It may be necessary to remove some of the bone around your tooth as well so it can be thoroughly extracted. Dr. Margiotta gives you a local anesthetic before both a surgical extraction and simple extraction, so you don’t feel any pain. If you’re having several teeth extracted at once, as is the norm with wisdom teeth removal, Dr. Margiotta may give you a general anesthetic. You'll sleep and be pain-free throughout the whole procedure. How soon can I expect to heal from a tooth extraction? While it's contingent on your particular case and the number of teeth you had removed, healing usually takes one or two weeks. New bone and gum tissue grow in the spaces where your teeth used to be. It's possible you could have trouble chewing or experience other pain and discomfort as you recover, but this will depend on the amount of dental work you have. Since each situation is different, Dr. Margiotta recommends you contact Dental Artistry of Walnut Creek to book a consultation so you can discover your options and any important follow-up treatments like dental implants or crowns. Contact Dental Artistry of Walnut Creek by phone or make an appointment online using the booking tool.